Blueberries are a great summer treat – and now you can enjoy local blueberries year ’round! They are sweet, full of vitamins and nutrients, and make a great snack. And when you purchase the NFCA’s Northeast Grown Frozen Fruits & Vegetables, you are not only making a good decision for yourself and your family, you are helping to grow the regional food system and economy. Our frozen Blueberries, Organic Broccoli, Organic Edamame, Organic Green Beans, and non-GMO Sweet Corn and Green Peas are all produced, picked, processed and packed (say that five times fast) right here in the Northeast. And they are available only at your local Neighboring Food Co-op. 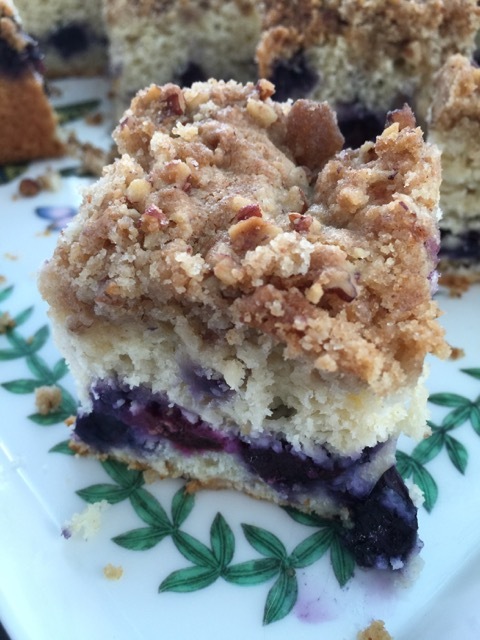 Looking for a great Blueberry Recipe? Try these – and let us know if you have one of your own! Want a great recipe to delight your taste buds and impress your family and guests at your table? Kay Litten, former Board Member of Co-op Food Stores of New Hampshire and Vermont and recipient of the 2017 Neighboring Co-operator Award, has a great recipe to share. “My favorite way to use this is over a slice of pound cake with freshly whipped local cream on top, but it is also excellent on ice cream. Yummmmmm!” says Kay. 4. Cook over moderate flame for 10 minutes, stirring occasionally. Stir well and put back into blueberry sauce and cook until sauce thickens. If it is not thick enough to be a syrupy consistency, you can repeat the juice/cornstarch procedure with 1/2 or 1 T. additional cornstarch and cook some more. The end sauce should be like a thick blueberry syrup, but not thick like pie filling. Crush 2 cups of berries and blend with the sugar and cornstarch (which have been mixed together). Cook over direct heat, stirring frequently, until thick and smooth (8 to 10 minutes). Add the lemon juice. Cool. Then fold the remaining berries into the mixture. Sprinkle the sugar over the bottom of the pie shell and add the filling. Chill in the refrigerator for 2 hours. 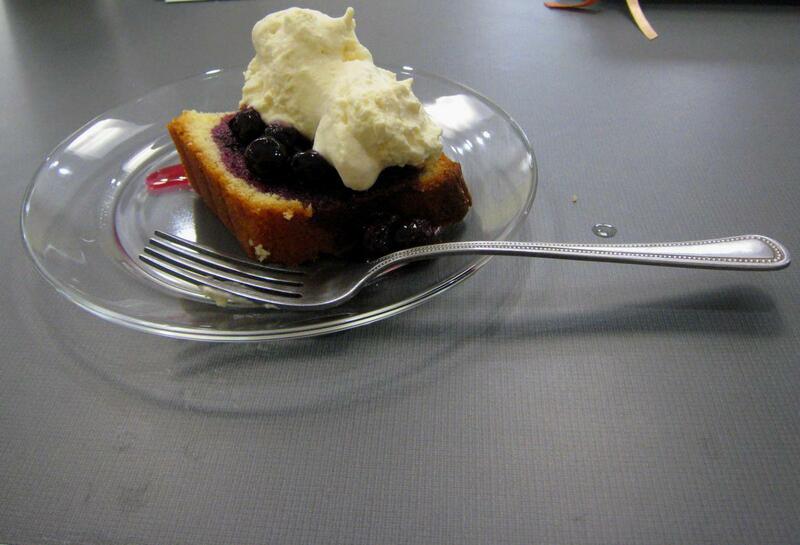 Top with the whip cream sweetened with the 1 tablespoon sugar.